The USB Overdrive is a device driver for Mac OS X that handles any USB mouse / trackball / joystick / gamepad and any Bluetooth mouse from any manufacturer and lets you configure them either globally or on a per-application basis. 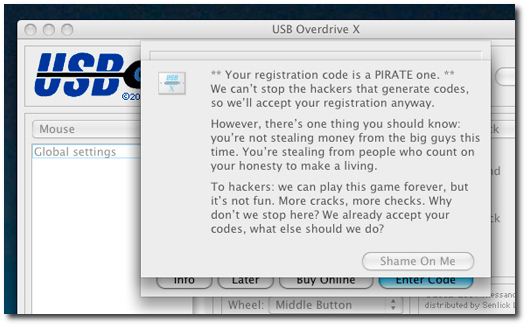 Some one posted a screen shot of USB Overdrive software. If you are a sensitive pirate you might feel guilty (found via Digg). 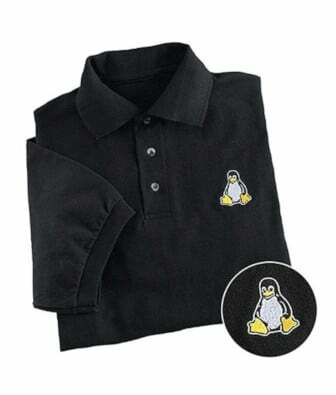 Maybe it is a time to switch to Linux.